We’ve all heard the tired cliché that a picture paints a thousand words. Although its origins are in dispute (it’s been attributed to everyone from a British illustrator looking to score commissions to Confucius himself) the underlying sentiment is the same: show, don’t tell. At the end of the day, in order to understand something, we often want to see it. This certainly explains the popularity of social media platforms like Instagram, where users forgo words altogether in favor of the “real” thing. There’s even an ever-expanding alphabet comprised solely of pictures—emoji—which seems more like a throwback to ancient writing systems like hieroglyphs or kanji. Seems like we’ve been visual creatures all along. 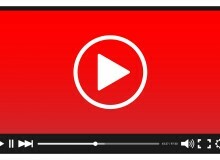 But if a picture paints a thousand words, then video… well, you do the math. 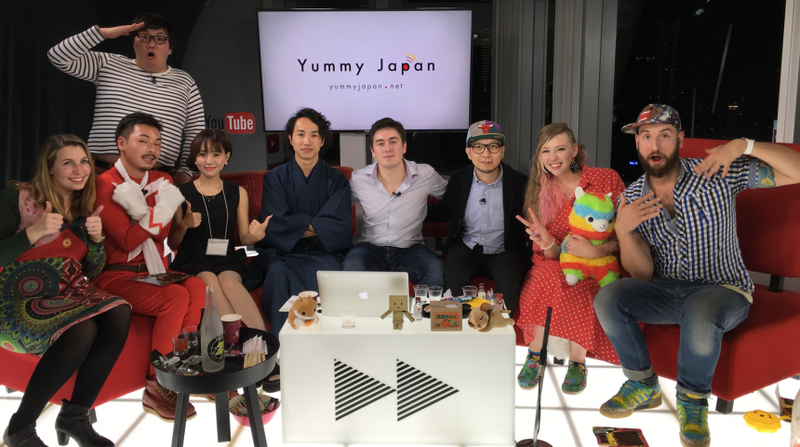 That’s the idea behind Yummy Japan, an online video network focused on Japanese culture. Formerly a collection of YouTube channels (also known as a multi-channel network or MCN), Yummy launched their current website in 2016 as a hub for their growing video content. With the Tokyo 2020 Olympics fast approaching, they’ve been busy working towards their goal of becoming an indispensable resource for visitors to Japan. And they anticipate plenty: last year, the Japanese government announced that their goal of attracting 40 million foreign visitors during Tokyo’s Olympic year. Yummy has a site of their own, which acts as a central hub to help users navigate Yummy’s network of more than 4,500 videos. It also allows them to pair videos with extra content, including detailed blog posts and maps and phone numbers, so users don’t have to go digging for it themselves. Though it’s a simple addition, it’s a huge time saver to scroll down from a video of a must-see ramen spot and be supplied with the address and directions to get there. As many of Japan’s incredible destinations still suffer from subpar (or Japanese text-only) websites, it’s a plus to have these details in one place. That’s a nice feature, but it’s not what makes the network special. 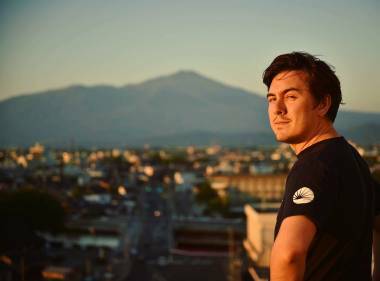 The real heart of Yummy Japan is its roster of video creators. A diverse set of around seventy individuals make up the Yummy network, sharing their own unique interpretations of Japanese culture. Though they all bring something different to their content, the common thread is the foreign perspective they bring to life in Japan. For similar reasons, Kodachi thinks it’s helpful to learn about Japan from people who come from the same cultural background as their audience, as they may share the same concerns or interests. But it’s also a good chance to see the country from another perspective. North Americans watching an Englishman hunt for the perfect bottle of cider in Japan, for example, get treated to a multi-layered cultural experience that goes beyond the standard gaijin fare. And while Yummy’s creators have varying credentials both behind and in front of the camera, there’s an undeniable authenticity to the network’s videos that’s often unique to the amateur set. Guiding viewers through love hotels or expounding the virtues of Japanese toilets (all hail! ), it’s clear that all are doing it for the love of Japan. Broad’s videos combine interesting insights about Japan with a dry wit that Kodachi cites as contributing to his success. “He’s famous because he has a unique British cynical humour.” He’s also got a sense of what makes good TV. Watching Broad and a buddy try to down a kilogram of ramen is entertaining (albeit slightly cringeworthy) for its entire seven minutes. But Yummy Japan’s not just a boys’ club. 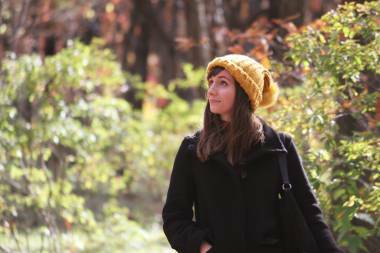 Australian creator Emma Felice began her channel, Tokidoki Traveler, as a way to keep track of her own experiences. “Having a vlog is just like writing a journal,” she says, “but you get to show your experiences to others as well as yourself.” Even though it’s public, Felice finds plenty of private benefit in her eclectic collection of videos, which include documentation of the day she dined on snails, broke her computer, and (cue ominous music) had to renew her visa. “It’s important for your own memories,” says Felice. With creators putting their all into developing memorable videos, Yummy Japan works to get them seen. One tactic is design support: it may seem like a paltry detail, but slick banners and video thumbnails go a long way in branding a channel and attracting viewers. Yummy also helps with logistics: clearance to shoot in private locations, production assistance, content development, and subtitling so that videos can reach foreign audiences. They also help connect creators with sponsors like travel agencies, local governments, Japanese food products or make-up brands, as well as host live-streaming events such as a recent roundtable at YouTube Space Tokyo. All of these elements help determine whether or not a channel is a success—and if the ingredients are right, serious success is possible. While some creators pursue video work as a hobby, others rely on it to help pay the rent—and the bigger the audience, the bigger the paycheck. “If they can get a lot of views, they can get money from Google,” explains Kodachi, noting that Yummy Japan “takes a small percentage as a commission.” Ideally, both the network and creators help each other grow. With no shortage of top-down marketing coming from Japan in advance of the Olympics (like the capital’s own sprawling “&TOKYO” campaign), it’s comforting to see an equal rise in user-created content. With only a camera and an internet connection, anyone can share their story of Japan with the world, and these multiple definitions might be the only way to document a country as indescribable as Japan. It’s impossible to capture, but at a thousand words per picture—and countless more per video—maybe we can get close.